Unique Hydra (UH), a division of the Unique Maritime Group (UMG), one of the world’s leading integrated turnkey subsea and offshore solution providers, is exhibiting at the IMCA Annual Seminar to be held on 19th and 20th November 2014 at the Landmark Hotel in London, UK. Unique Hydra will be present at stand number 26. It is also a bronze sponsoring exhibitor for the event. The IMCA Annual Seminar is conducted every year for professionals at the forefront of the marine contracting industry. The seminar includes an array of presentations given by specialists on technical, safety and environmental issues affecting the industry. This year’s programme focuses on the initiatives being employed to improve performance across various technical divisions such as Marine, Diving, Offshore Survey and Remote Systems & ROV. During the event, Unique Hydra will be focusing on a range of its diving products that include the classed containerized air dive systems, the eDMS 100 (Electronic Dive & Chamber Monitoring System), Launch & Recovery Systems, DSV Saturation Diving Systems and the HYDRACraft Daughter Craft system. However, the major highlight of our participation will be the launch of the HYDRACraft Diving Daughtercraft System. The daughter craft system is designed for conducting diving operations in locations that are not accessible by larger DSVs or for underwater weld inspections. The craft is deployed off a mother vessel. A decompression chamber is positioned on the mother vessel to support the diving operation. 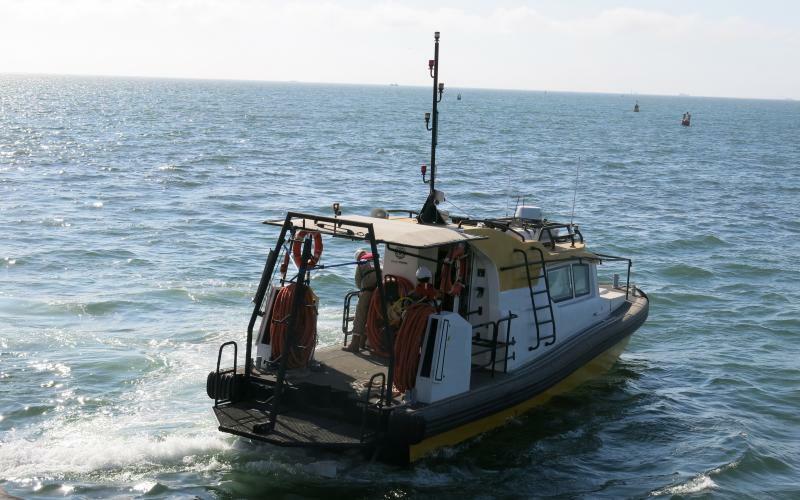 The vessels are 14m or 15m long and are purpose designed for diving operations, i.e., stability over speed and endurance. The boat has an aft diving deck where the diver is dressed and enters the water using a 2m single spine ladder deployed at the aft. There is a 350kg A-frame davit that is fitted to the aft of the vessel to be used to recover an injured diver.